A look at vehicle fires for May 2012. 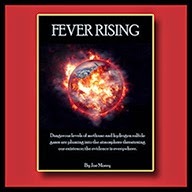 May seems to be when the gas plumes reached high enough concentration in the United States and other developed countries to cause spontaneous combustion of vehicles in significant numbers. Vietnam began experiencing this same problem starting a few months ago. Expect this to continue - and escalate - until there are no more vehicles left to burn or people left alive willing to drive them, whichever comes first. This is but one of the many serious problems that this extinction event brings us. I strongly encourage you to read the full hypothesis for more information. Note: Story also mentions a car fire, a godown fire, a theater fire and a train fire. Quote: "What we had was an inferno on the third floor, Mack said. Cars burnt up, total loss." Quote: "Those fires started about a half hour after three suspicious fires in Duluth the same morning. An RV, a pickup truck and a garage were destroyed." Note: The fire started in the garage housing the Camaro. 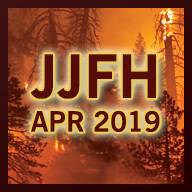 Quote: "The latest fire was about a quarter mile from where the department has responded to some other car fires recently..."
Is there a set of followup data? Anything current? You mean a list just of vehicular fires? I did do that for boats. But yes, I can see how it might be nice to compare as things continue to ratchet up, so maybe I should make May 'Carmeggedon Month' and make a list each May, so people can compare. I'm not sure how many Mays we have left, but we just passed one, and maybe we'll see more too. I've also thought about charting tractor trailer and tanker truck fires by month (since that's food and fuel deliveries there), but that'd be a fair bit of work, and just doing the daily updates is now eating up way more time than it used to, simply because there's more stuff happening now. I'll see what I can do! In the meantime, the monthly fire/explosion lists are always available too.